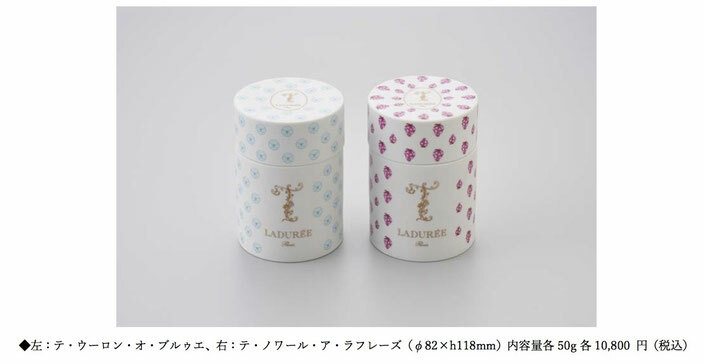 After graduating from Keio University in 1997, I worked in product development, sales strategy, public relations, web galleries, and marketing in general for 4 European luxury brands (Guerlain, Cartier, Champagne Piper-Heidsieck and Staub). 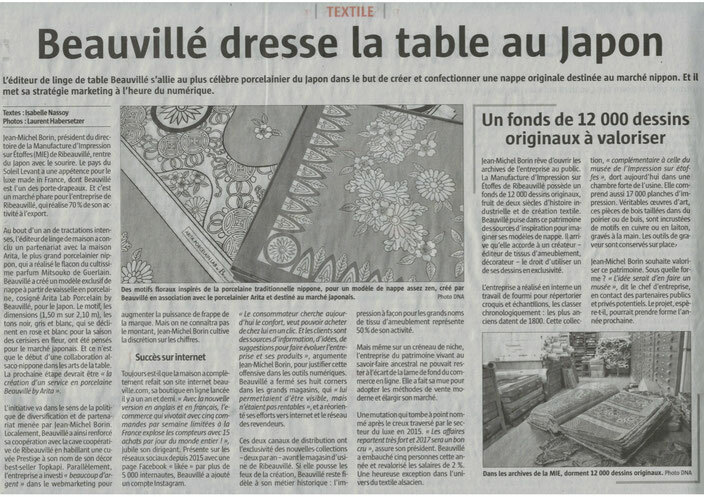 Having in mind my passion to appeal Japanese craftsmanship in exchange of appreciation to European savoir-faire. I created www.omotenashicuisine.com to appeal Japanese food and dining culture to the world, and promote export of Japanese artisan brands. Omotenashi is a Japanese word that can be translated as "hospitality". The sense of omotenashi is very important in Japanese culture, as an approach to take care of the guests. 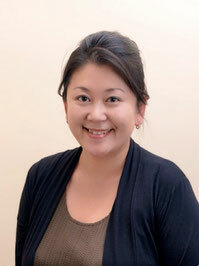 Omotenashi Cuisine propose the art of Japanese table and easy recipe ideas to welcome your guests home. 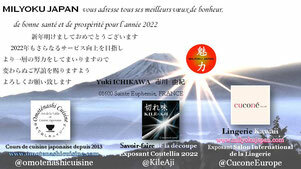 In 2014, I started to promote Arita porcelain brands, taking the opportunity of international exhibition at Maison et Objet in Paris for 3 consecutive years, and Sirha world hospitality and food service expo in 2015. 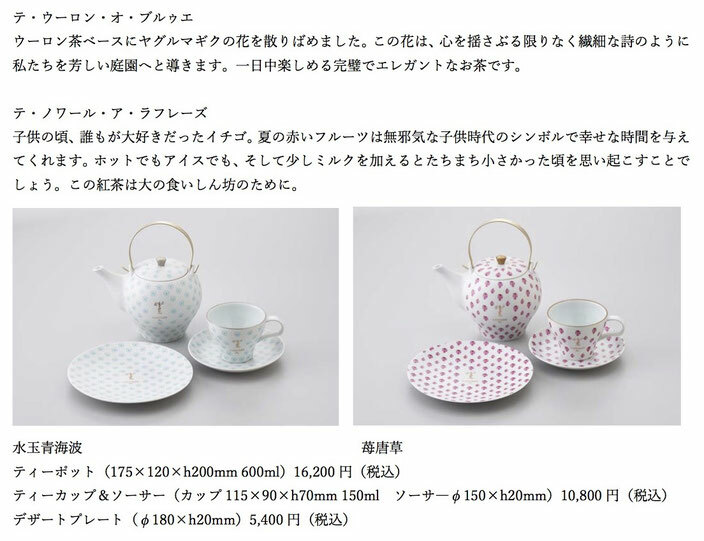 I take orders during the exhibitions by supporting Japanese brand owners and try to make the best sales by following up the contacts, managing product development projects and export operations in details. 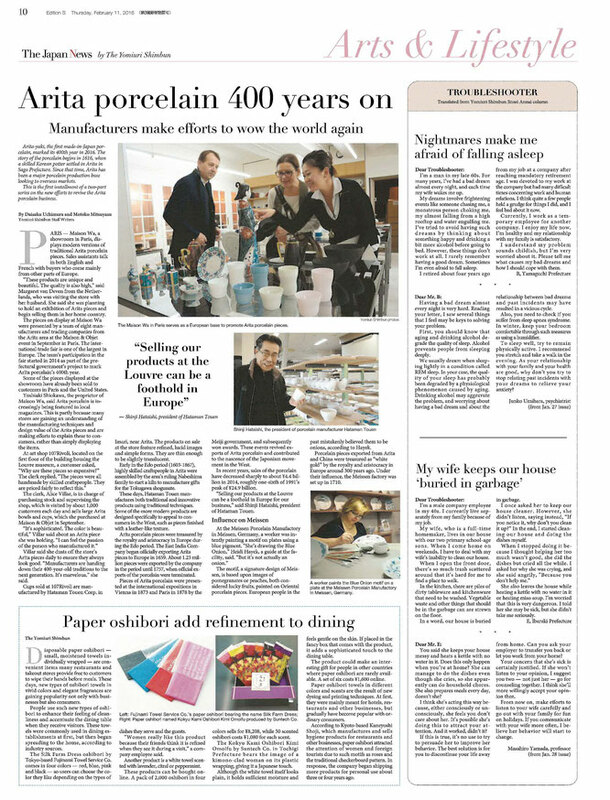 In 2016, I realized the legendary Mitsouko perfume bottle in beautiful Arita porcelain, for la Maison Guerlain to celebrate 400 years anniversary of Arita porcelain, which I'm very proud to announce as the achievement of my efforts since I work independently. 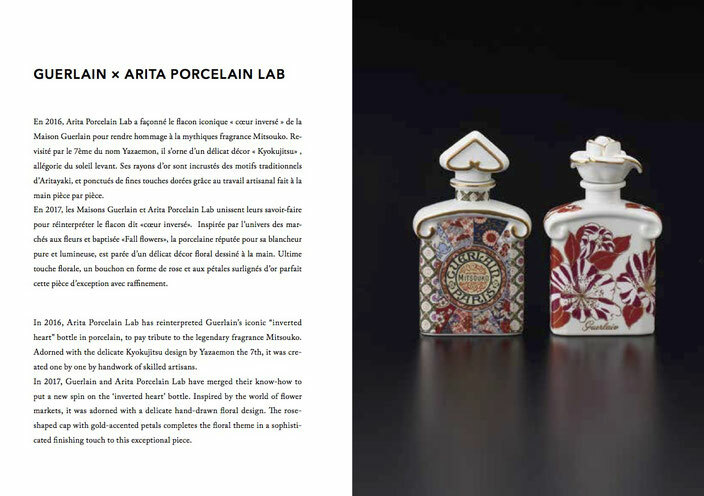 In 2017, I realized the 2nd Guerlain's perfume bottle by ARITA PORCELAIN LAB "Fall Flowers", and business partnership between Arita Porcelain Lab and Beauvillé, the living heritage company situated in the heart of Alsace, armed with expertise of textile industry for more than 2 centuries. 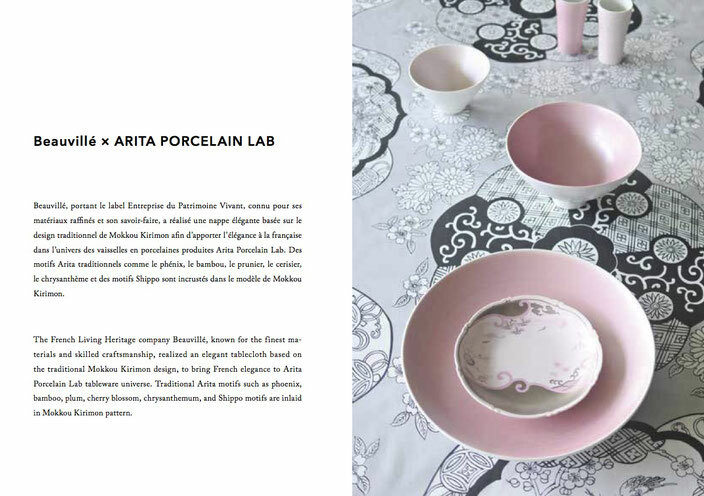 In 2018, I realized the launch of 2 teas exclusively produced for ARITA PORCELAIN LAB by the french famous maison Thé Ladurée, followed by limited edition of Tea collection in sophisticated Japanese porcelain ARITA.